Salman Khan's Bigg Boss 11 House welcomed Several Celebrities and Commoners in a House. Sabyasachi Satpathy / Shagoon Satpathy is one of the Contestants in a Colors TV Reality Show. Here is the Wiki Biography Profile and more about his life. Sabyasachi Satpathy, popularly known as Shagoon, a celebrity from Odisha is Commoner contestant on Salman Khan's Bigg Boss 11 Show. “My brother has been shortlisted. But we will be able to find out if he is in the final list of participants only when the announcement is made tonight. 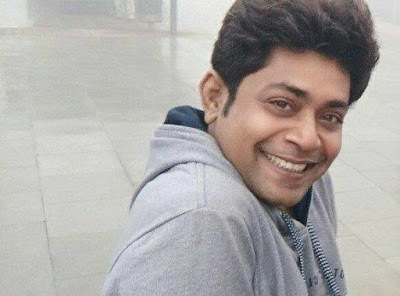 We are hopeful that people of Odisha will vote for Shagoon if he makes it into the Bigg Boss house,” said Jitu Satpathy, former Ranji player and brother of Shagoon. Sabyasachy did his schooling from St Vincents Convent School, Berhampore and did graduation in commerce from Khallikote Autonomous College. He did jobs in IT industries and now related to fashion industry. He was judge and host for audition of Miss India 2017. He also do professional audition for aspirants who want to make career in Bollywood and fashion industries. Sabyasachi is a fashionata, a TV presenter and a good dancer too. Now he is here to gain the limelight from the front and will be seen in his first reality show Bigg Boss 11. Also Know - Bigg Boss 11 Housemates of Salman Khan's Colors TV Show. Sabyasachi Satpathy / Shagoon Satpathy is Excited to Change the Game in Salman Khan's Bigg Boss 11 Padosi House. Keep Watching Bigg Boss 11 Every Mon-Fri 10:30 PM and Sat-Sun 9 PM on Colors TV to Enjoy Odisha boy Satpathy's Play.